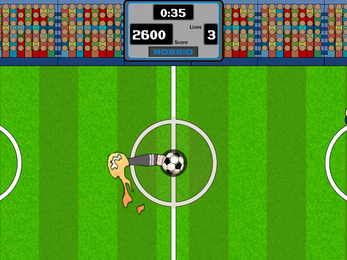 Tired of constantly getting kicked around, Soccers McBallstein, a soccerball, finally decides enough is enough and takes matters into his own hands. 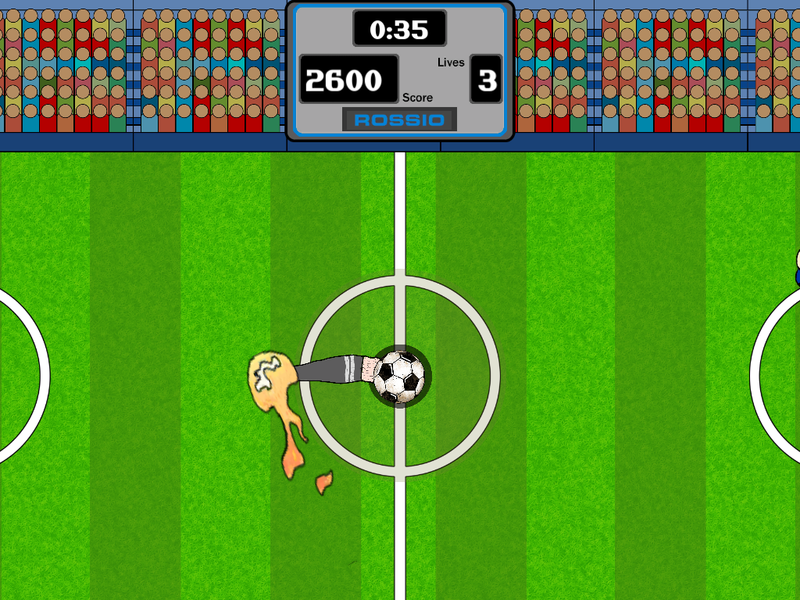 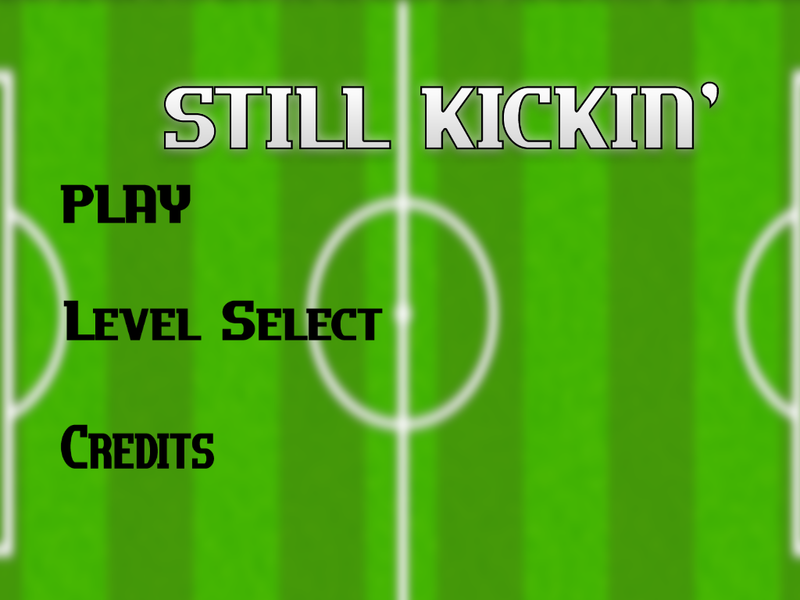 Play as a soccerball that, instead of getting kicked, does the kicking instead! 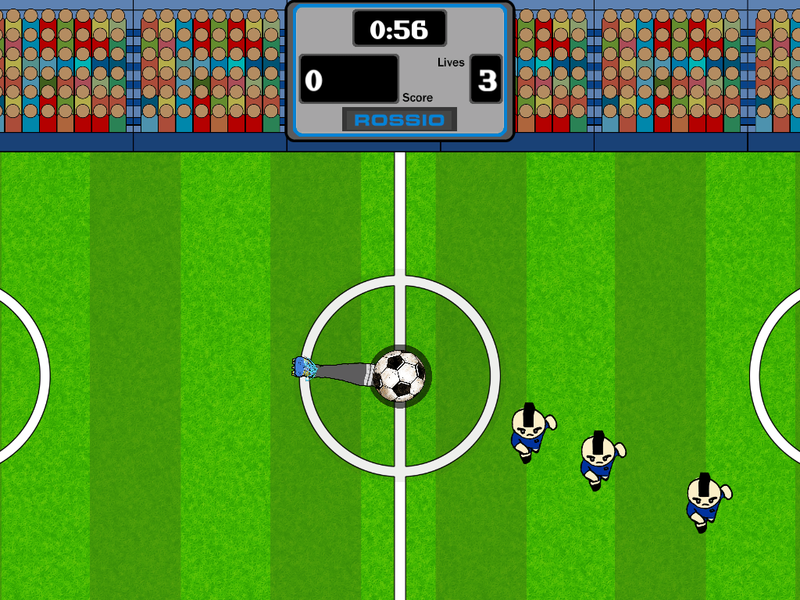 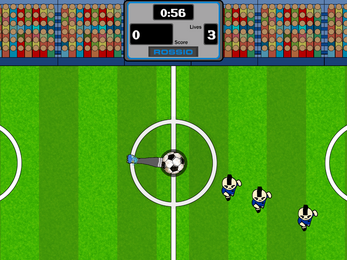 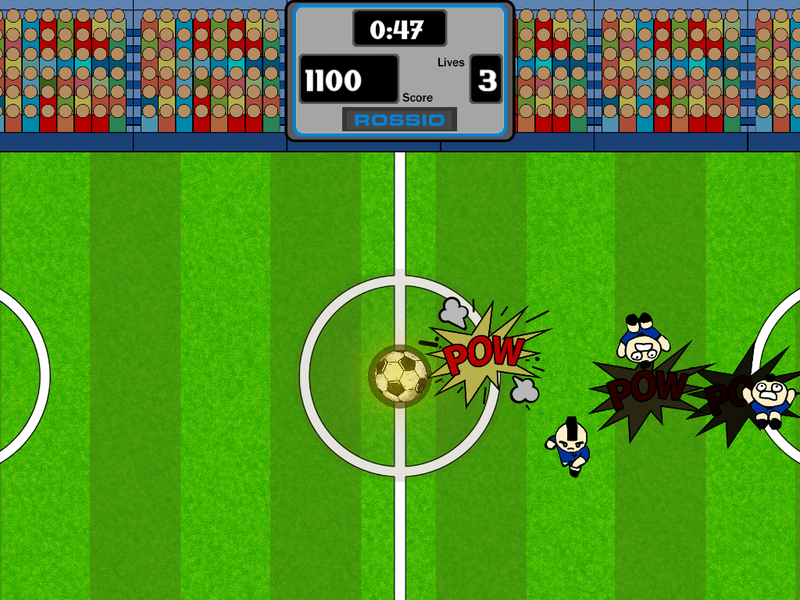 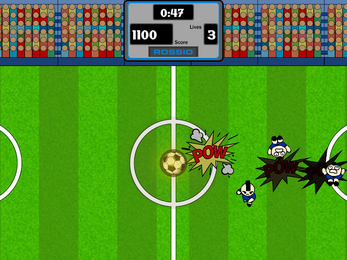 Kick away soccer players that come at you in level-based waves, knocking them back down their lanes. 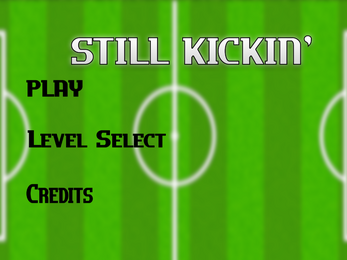 Extra points if you knock them into each other as they reverse-roll their way back from whence they came!